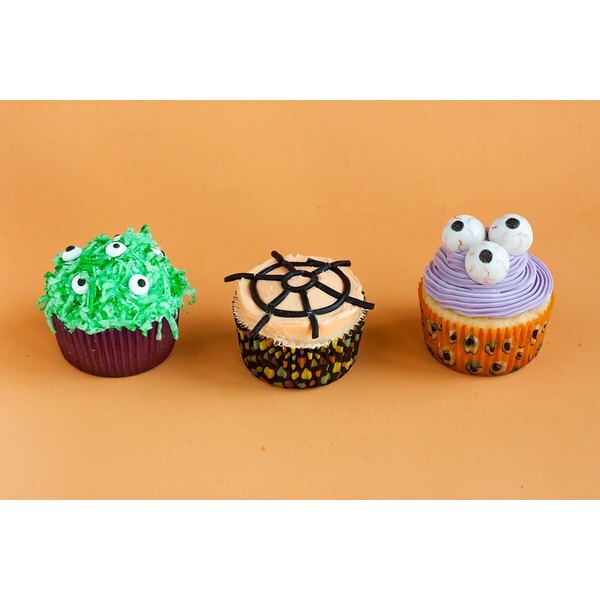 These spooky cupcake toppers are the perfect treats to help get you in the Halloween spirit. With just a few simple tricks, you can turn licorice into spiderwebs, coconut into monster fur and gumballs into eyeballs. (And everything's edible!) It's the perfect way to decorate your favorite homemade cupcakes or add a unique touch to last minute store-bought sweets. 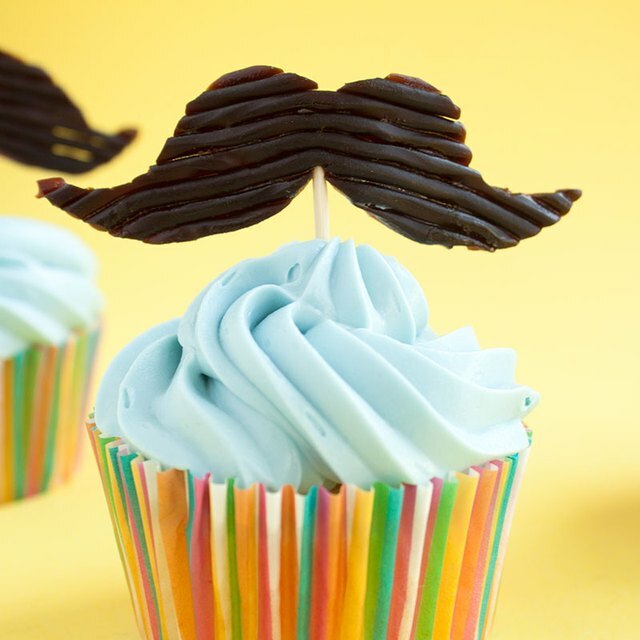 You can either use a boxed cupcake mix for this decorating project, or go one step further and make homemade cupcakes! This recipe is really the only one you need. Cut a piece of licorice and make a small circle in the center of your frosted cupcake. Make a larger circle around the initial one. Measure and cut tiny pieces of licorice to fit between two circles. Place these pieces evenly around cupcake to form a web. Place the shredded coconut in a small bowl with a few drops of green food dye. Rub the coconut between your fingers to distribute the dye evenly. Place the coconut onto a frosted cupcake and top with several eyeball sprinkles. Using a black edible marker, draw a pupil in the center of a white gumball. Let dry. Using the red edible marker, draw small veins around the pupil. Place three eyeballs together on top of the cupcake. Jamie Shields is the editor and founder of lifestyle blog Paint the Gown Red where she shares recipes, DIYs and personal style. Her work has been featured in Mollie Makes Magazine and on Apartment Therapy. Shields believes in spreading joy through baked goods, dance parties and confetti. Her favorite food is dessert.